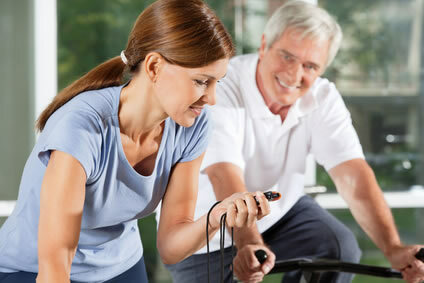 All Chateau fitness and wellness programs are designed to help residents maintain their independence and better perform activities of daily living by stimulating their mental, physical and physiological abilities. New programs are routinely researched, developed and introduced to keep the curriculum fresh and innovative, and residents motivated and challenged. Special topics are periodically taught by the Fitness Director or other qualified lecturers. Group tickets may be available for theatres such as North Coast Repertory, Welk Resort, and the California Center for the Arts. Limited engagement performances such as Riverdance, Traditions of Christmas, San Diego Padres Baseball at Petco Park and The Palm Springs Follies. Usually half-day or day trips, (possibly with a meal included), to places of specific interest such as the Seaport Village, the San Diego Museum of Art, the Scripps Aquarium, or a first-run feature film. Lectures, workshops, recitals, shows, etc. such as Armchair Astronomy, sing-a-longs, children’s presentations, art and quilt shows. In conjunction with Food Services, a host of special parties and celebrations are planned over the course of the year which may feature cocktails, wine and hors d’oeuvres, special menu and décor, entertainment and more, presented in the Chateau’s beautiful dining facilities. Some of these special parties include: Mardi Gras, St. Patrick’s Day, Fourth of July, the Chateau’s Anniversary Dinner, Holiday Décor Party, and New Year’s Eve. Residents meet regularly for a wide variety of recreational activities such as bridge, arts & crafts classes, bunco, board games, memoir writing and sign language classes as well as non-denominational religious services.